After-school care asthma death - are our kids safe? Are our kids safe at after-school care? As the mother of a child with food allergies my heart was in my mouth when I heard about the death of an 8-year-old boy at after-school care at St Ives North Public School in Sydney last week. I couldn&apos;t help but wonder whether anything could have been done to prevent his death. The Year 2 boy suffered an asthma attack and tried to administer his own ventilation puffer, but still had trouble breathing. By the time he told staff he was having trouble breathing, he was in serious trouble. They gave him some more medication with a &apos;spacer&apos; which fits to the end of the puffer, but the boy went into cardiac arrest. They commenced CPR until the ambulance arrived. His parents arrived to collect him up only to find the ambulance crew frantically working to revive him. He was transported to a nearby hospital and was pronounced dead at 7pm. His family are yet to comment, but St Ives North Public School P&C president Peter Mayrick said his prayers were with those affected by the tragedy. He said, "Our whole community is grieving for them and with them and we hope to show them the care and the love that they deserve. "My thanks to the after-school care staff and the school staff who showed terrific care and grace under extraordinarily difficult circumstances." It is understood teachers knew the boy suffered from asthma, but his condition was not classified as a severe case. This is part of the problem. The Australian Asthma Foundation says there is complacency when it comes to asthma attacks. Carers often forget asthma attacks can quickly become life-threatening. 40 per cent of schools aren&apos;t properly prepared to treat asthma attacks and majority of them occur while kids are at school, so they really should be. 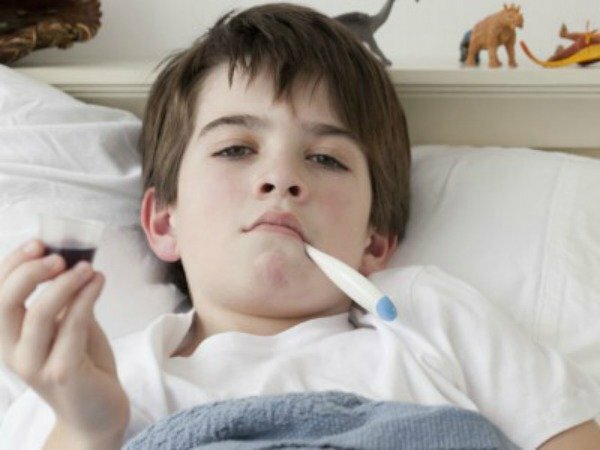 Michele Goldman, the chief executive of the NSW Asthma Foundation, said the prevalence of the disease meant schools should know how to handle asthma emergencies. Asthma training is mandatory but Ms Goldman feels people don&apos;t understand how serious it can be. &apos;&apos;There are so many myths around asthma. People think they can get by from using a puffer when needed. 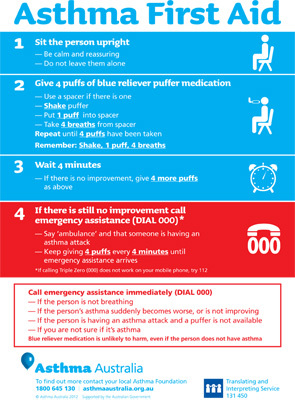 If an child or adult is having an attack the four point asthma first aid plan should be followed." Another concern is regulation of the before and after school care system. Schools run them with staff and volunteers and - if my son&apos;s school is anything to go by - they are very crowded. I know they do an excellent job and the kids who attend have a lot of fun, but my son could never go. Kids often don&apos;t seek medical assistance until it is too late. He&apos;d need someone watching him at all times looking for signs of food allergy. They just don&apos;t have enough staff to do this. And I wonder: is it time for before and after school care to be subject to further regulation? Teachers and carers are trained annually in child first aid but is it their job to treat our children for serious medical conditions like this? Particularly when asthma and allergy kids can be perfectly healthy one second and then struggling to breath in another. In America, most schools have a full-time nurse and well-equipped sick bays. Is this what is needed in Australian schools? I think it&apos;s worth considering. Asthma and food allergy rates are skyrocketing in Australia and nobody seems to know why. Before there are more deaths, do wneed to start thinking about better preventative measures such as school nurses, so teachers and carers can focus on their primary duties and not have to live with the guilt of a child dying from a preventable condition? These questions will all be asked at the coronial inquest into this boys death. Until we find out more, all we can do is consider what else can be done to prevent further tragedies. Do you think schools, especially primary schools, should have full-time nurses?